1. Cut 1 inch off top of cup. 2. "Glue" to a plate with icing, cut side down. 3. Use the icing to attach marshmallows, starting at the base. Cover the entire cup. 4. 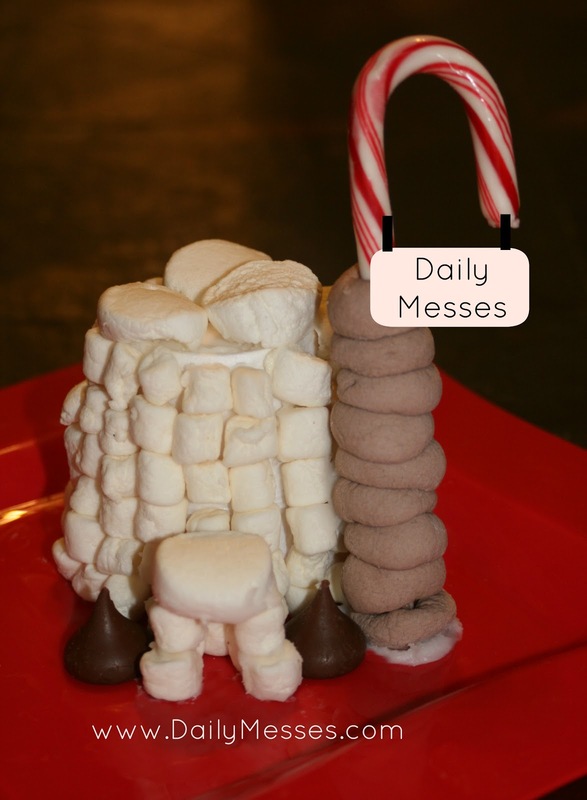 Stack marshmallows in front to form a door. We then got a little ambitious and added in a candy cane pole. I stuck it through chocolate marshmallows and "glued" on with white icing. 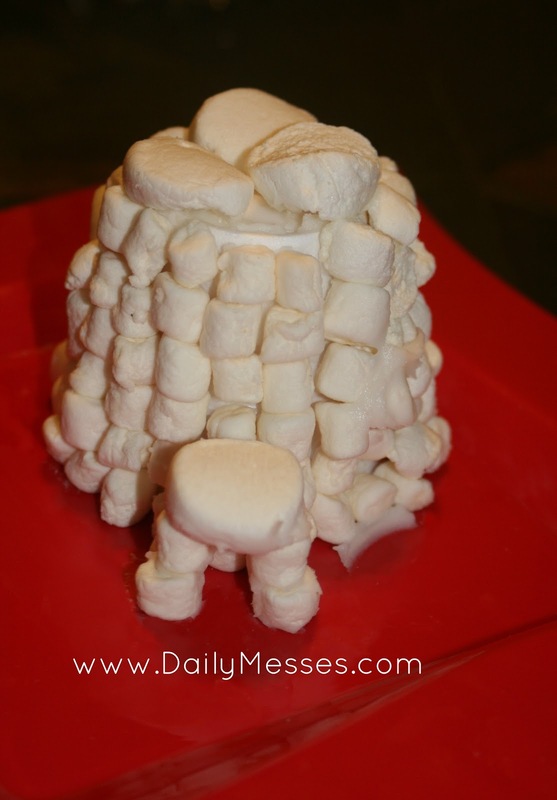 DM Tip: You can also use large marshmallows for larger sized cups, or cut the large marshmallows into pieces if you cannot find mini-marshmallows.